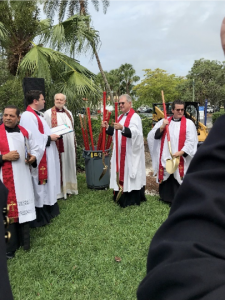 Sarasota, FL – Sarasota’s Church of the Redeemer broke ground on a new project on Sunday, May 20. The church kicked off its first part of a three-phase expansion plan, beginning construction on its new Ministry and Education Centre building. Father Fred Robinson, the church’s Rector, said the new, three-story unit is necessary for the church’s growth and has been about five to six years in the making. “It feels wonderful. You wonder if you’ll ever get to this point, but we knew we would,” Robinson said. 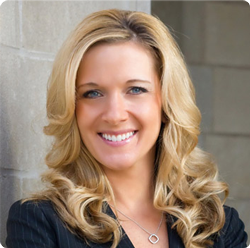 “We are out of space; we need more room for Christian education. 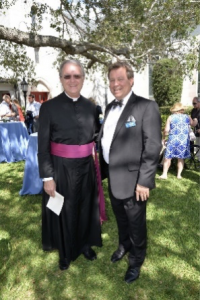 We have staff members who are sitting in hallways because there’s just not enough office room, so we really have maxed out.” Bishop Dabney Smith and Lord Chartres, the Bishop of London were there for the groundbreaking. The Very Reverend Fredrick A.
Glendon Smith, the Campaign Director said, “I am glad to have been a part of this effort; Redeemer is a warm and embracing place.” With offices in Dallas, Texas; Falls Church, Virginia; Chicago, Illinois; Los Angeles, California; and Toronto, Ontario, James D. Klote & Associates is the largest full-time, on-site Capital Stewardship consulting firm in North America. 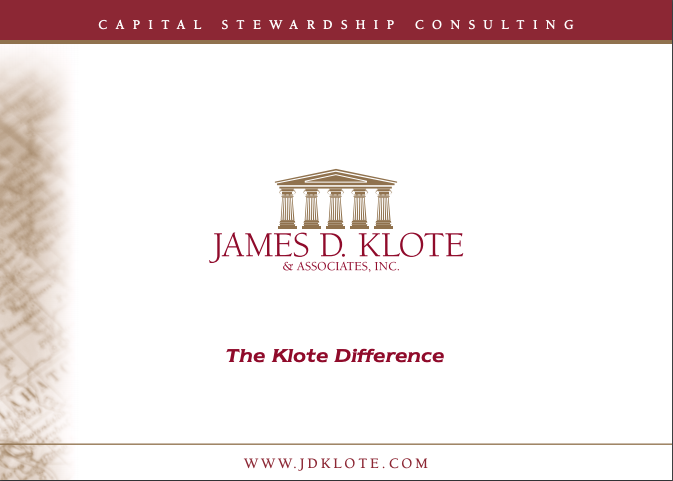 For additional information, please contact the firm at www.jdklote.com or (800) 360-2315.